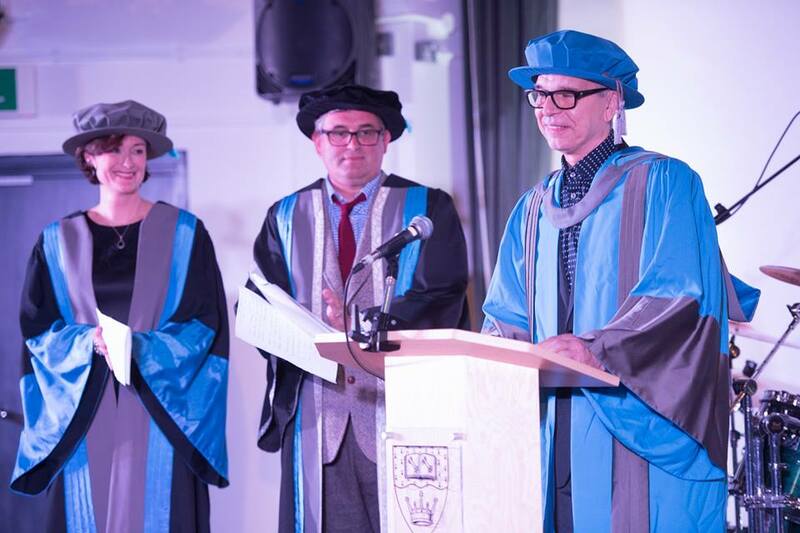 In partnership with renown producer Tony Visconti, the British Library, and the Science Museum, Kingston University welcomes you to Visconti Studio. The studio is the centre of Kingston University’s research and teaching project “The British Analogue Music Studio: Heritage, Nostalgia, Future”. The studio features a 300m2 octagonal live room, stocked with a diverse range of instruments including orchestral percussion, Hammond organ & Leslie, a tape-based Mellotron and three grand pianos, one of which is a Steinway D. Tracking facilities include a range of vintage and rare recording equipment (Studer, Neve, Neumann, Coles, Universal Audio, Roland, EMT). Tony Visconti has been described as one of the most important producers in the history of rock and pop. With a prolific and diverse career in creative music production and arrangement that starts in London in the late 60’s, Tony’s contribution to music culture is legendary and ongoing. Working with T.Rex in the early 70s he crafted the iconic sounds (and string arrangements) of “Children Of The Revolutions”, “Get It On (Bang A Gong)” and “Cosmic Dancer”. Tony served as producer on many of David Bowie’s most highly regarded albums, including The Man Who Sold The World, Diamond Dogs, Young Americans, Low, ‘Heroes’, Scary Monsters (and Super Creeps), Heathen, The Next Day and most recently winning two Grammys for his work on 2016’s Blackstar. 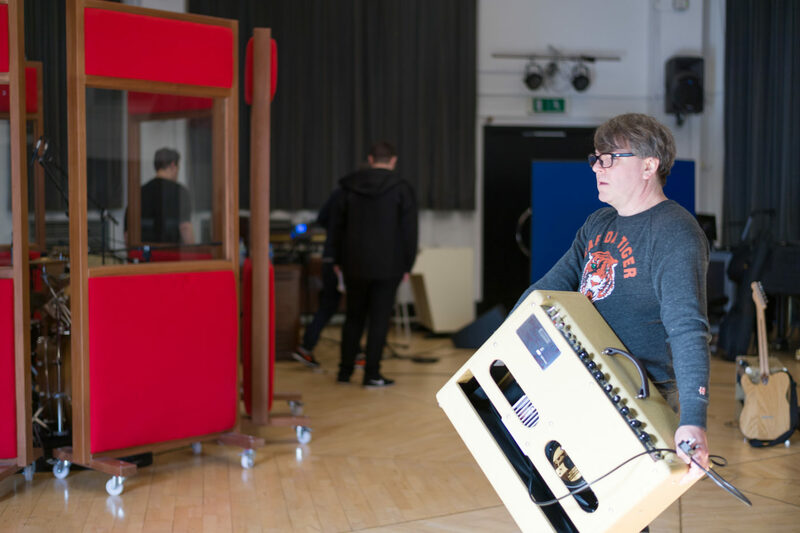 He has worked on influential releases from Gentle Giant, The Moody Blues, Thin Lizzy, The Stranglers, U2, The Seahorses, Prefab Sprout, Manic Street Preachers, Morrissey, Kristeen Young and much more. 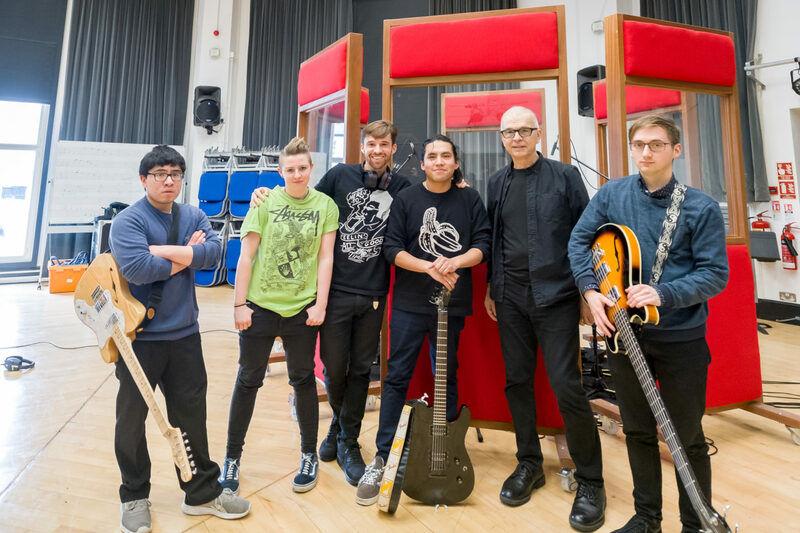 In the Visconti Studio, he will be working with students and staff from Kingston University, as well as with invited artists, to share his wealth of knowledge and produce records. As part of our undergraduate and postgraduate programmes students will learn to operate and maintain analogue technology in recording and production. Besides course related teaching, the Visconti Studio also organises special master classes, a Winterschool, and special recording sessions with guest producers and artists. Our mission: to preserve the sounds and practices of the analogue past for the digital future. “The British Analogue Music Studio: Heritage, Nostalgia, Future” is a large-scale research project partnered with the British Library and the Science Museum. The project aims to document and preserve the legacy of the analogue era. Tapping into contemporary love of retro sounds, the Visconti Studio does not just revive objects but actively revives analogue practices. The project combines questions around cultural nostalgia with concrete musical practice and heritage studies. It will build a rich and diverse archive of recordings, practices, instruments, technologies, listening testimonies, and scholarly reflection. Want to come and record with us? The facility is available for commercial hire, and opportunities are open for producers and creators of music in any style to come and share their knowledge with our students. Interested? Get in touch.